Andrew Cogliano might have been a little late on the scene after the red light went on, but the Anaheim forward, who helped engineer a series-clinching tally, had plenty of people waiting for him to arrive. After fighting back from a two-goal deficit in the third period of their Game 6 Western quarterfinal in Dallas, Anaheim had a chance to punch their ticket to the conference semis with a win in overtime. The 26-year-old winger, puck on his stick, weaved his way along the boards in the Stars end, found Nick Bonino in the slot, delivered a perfect pass, and then watched as his linemate snapped home the winning goal. As his teammates celebrated along the boards, Cogliano leapt into the proceedings. And although he wasn’t the one who netted the winner, it was obvious Cogliano’s teammates were appreciative of his major role in the victory. 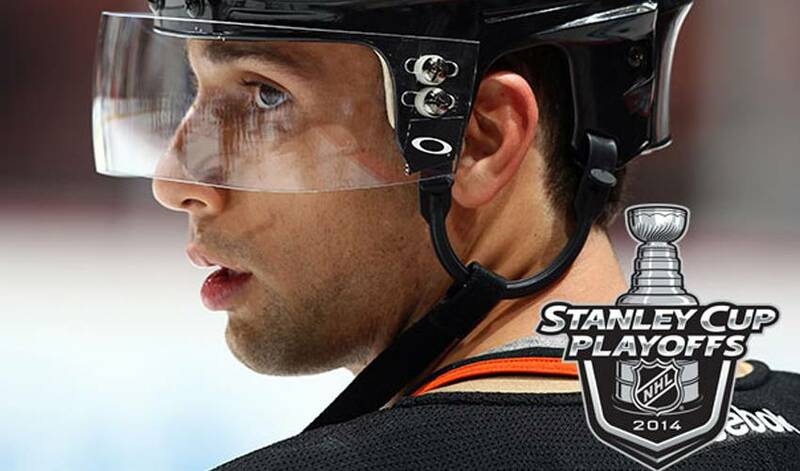 When Anaheim took to the ice for their West semifinal series against Los Angeles, it represented the first time Cogliano skated in the second round of the playoffs in his NHL career. The Toronto native, who set an NHL record by scoring overtime goals in three consecutive games (in March of 2008), would jump at the chance to contribute another series-capping assist. But, Cogliano knows meaningful contributions aren’t always about seeing your name and number on the scoresheet. Cogliano admits it was nice to head into round two off an emotionally charged victory. The Ducks can close out the series with a win on Wednesday night in Los Angeles.